This entry was posted in Life, Science and Scientists and tagged conspiracy theories, conspiracy theory, ignorance, ignorant, moon, stupid, stupidity by RobertLovesPi. Bookmark the permalink. 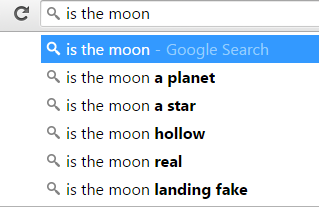 I don’t know why there’s any confusion; the moon is obviously Swiss cheese.